2015 and 2016 Quad County South Palomino League Runner-up! 2016 Louisville Slugger Wood Bat Tourney Runner-up! 2016 Bash In The Park Champions! 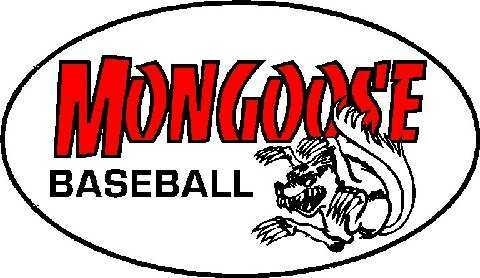 ﻿ Mongoose Baseball is a select travel baseball club located in the South Hills of Pittsburgh, PA. Since 2009. Teams participated in local leagues in the spring/summer and in the fall and also traveled throughout the spring/summer seasons to tournaments both locally and within 2 1/2 hours of Pittsburgh. 2013 Quad County South Palomino section semi finalist. 2014 Morgantown Marathon 19u Champions! 2014 Quad County South Palomino section semi finalist. 2014 Louisville Slugger 19u wood bat tournament semi finalist. 2015 and 2016 Quad County South Palomino League Runner-up. 2016 Louisville Slugger Wood Bat World Series Runner-up. 2016 Bash in the Park Champions.